Because your transmission and brakes are vital to the safe operation of your vehicle, it’s essential to have an auto repair shop you can trust whenever something goes wrong. Whether you’re a local or just somebody passing through, AAMCO Transmissions and Total Car Care of Council Bluffs provides expert auto and transmission repair in Council Bluffs, Iowa. As part of the nationally recognized AAMCO family, our service technicians are highly skilled transmission rebuild and repair specialists. Thanks to our exclusive multi-point transmission scan, we can accurately pinpoint the cause of your issue to get you back out on the road as quickly and as safely as possible. 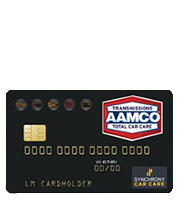 AAMCO of Council Bluffs believes in providing honest, comprehensive service for every customer. Whether you need a minor transmission repair or a complete transmission rebuild, you can rest assured that we’ll never try to upsell you on any parts or repairs that aren’t necessary. Take the hassle and stress out of brake and transmission repairs by paying our Council Bluffs auto repair shop a visit today. 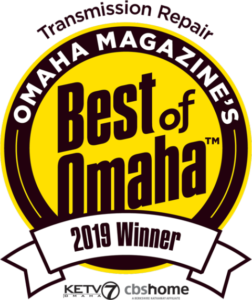 Local Transmission Experts – Our local repair shop is proud to be affiliated with nationally recognized experts in transmission, brake, and auto repairs. AAMCO of Council Bluffs is capable of repairing all makes and models of foreign and domestic vehicles. Whether you have an automatic or manual transmission, our service technicians would be more than happy to take a look at it for you. Thanks to our advanced diagnostics, you can rest assured that we’ll thoroughly check your transmission fluid levels, as well as your transmission’s various internal and external components, for signs of a malfunction. When you need transmission repair experts in the Council Bluffs area, be sure to contact us to schedule an appointment for service. Don’t forget to ask about our special discounts and financing (upon credit approval) options! Great place to go into. Mike the Manager and his guys are a great team. Very thorough and fast. Had to take my vehicle in to get it checked out. Would definitely recommend him and his crew to anyone and plan to. Thanks Mike. Smooth and easy process had my car back the next day. This place is fantastic. Fair prices, dependable, and honest. Love this place. My ancient Dodge Dynasty kicked the bucket, and AGAIN they were able to resurrect it from the dead! Thank you again, you guys are mechanic-magicians! Very nice and prompt. Thank you! © 2019 AAMCO Council Bluffs. All Rights Reserved.